It’s that time of the week where we round-up the best offers currently on the App Store, cutting through vast swathes of terrible apps and bad deals to bring you a few gems in the rough. This week you can grab a slice of classic Sega platforming action, as everyone’s favourite blue hedgehog goes on sale for $0.99. Also included is an award-winning annotation and note-taking app, NoteSuite NoteSuite: A Combined Notebook & To-Do Manager For Mac & iPad NoteSuite: A Combined Notebook & To-Do Manager For Mac & iPad From Evernote and Springpad to Google Keep, and the never ending list of iOS note apps, don't feel too embarrassed if you use more than one program for keeping track of notes, thoughts and to-do... Read More and Facebook’s latest acquisition in the form of activity tracker, Moves. One of the most popular and celebrated annotation, note-taking and to-do list managers in the App Store, NoteSuite is currently having an 80% off sale for a whole week. The app allows you to annotate virtually anything, create lists, to-dos, audio recordings as well as taking clutter-free web clippings. With a hugely powerful search feature, syncing with its Mac cousin and abundant five star reviews on the App Store, NoteSuite is a must-have app. Recently purchased by Facebook in a bid to keep up with Nike and companies like FitBit, Moves is an activity tracker that detects what you are doing, and when you are doing it. The app works best with the latest iPhones and their M7 motion co-processors, but support for earlier devices is there. The app recognises activities, places, steps and calories burns before plotting a map of your day. MocaDeco is a design app that allows you to create posters and other customised designs using more than 280 separate decorations split into several different packs. These packs won’t necessarily cost you more money, and come with 70 different typesets and 32 photo filters. Once you’re finished you can save to your Camera Roll in the highest resolution possible to preserve quality. Flowpaper is an interactive art app that allows you to create unique, flowing paintings using your fingers. Paint with physics and export images up to 1536 x 2048, depending on your device. It’s a simple app, but one that kids and creative types will have hours of fun with, or just use it to design a wallpaper unique to you. Sonic The Hedgehog should need little in the way of introduction. Sega’s plucky hedgehog has had his good name sullied by endless spin offs and follow-ups, but here we’re going back to our roots with the original two Sonic games. These aren’t lazy ports either, with widescreen graphics, smooth 60 frames per second gameplay and a mobile-optimized control scheme, this is one remastered video game classic that’s worth the price. More than just a weird name, continue?987654321 is a fairly weird game in general. You take on the role of a deceased video game character, wandering random access memory while attempting to avoid being deleted forever. The game is fairly random, you’ll get one of six characters assigned to you, and battle through six of the 11 available areas in-game. Confused? The developers say it’s “a bit like Sword & Sworcery, but with more action and weirdness” – and it’s in a league of its own. Often featured in this column, but still too good to pass up at 50% off; XCOM: Enemy Unknown is a PC-quality strategy sim that has you warding off extra-terrestrial threats, researching bigger and better weaponry and banding together with what’s left of earth to save the human race. Critically acclaimed and worth every penny. 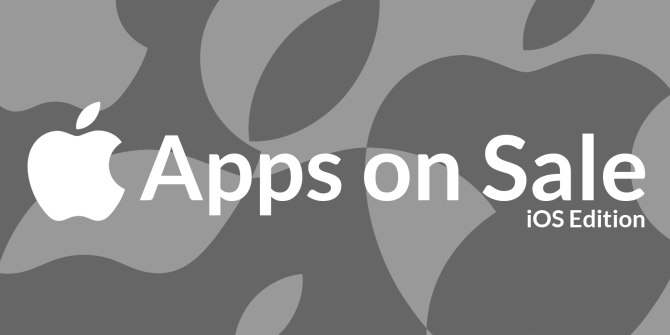 That’s the cream of the crop until next week, be sure to check back for even more Apps on Sale.